There have been NES coffee tables constructed in the past, and there will be NES coffee tables constructed again in the future. 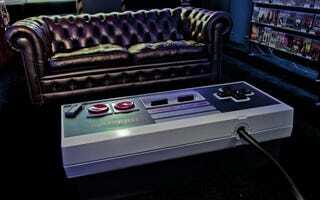 For now, however, this playable NES coffee table is the sexiest yet. Plus, (incredibly ambitious) DIY! Even the back has been meticulosity recreated!